Tradition continues with the arrival of one of the most anticipated moments in the world of children’s and young adult literature. 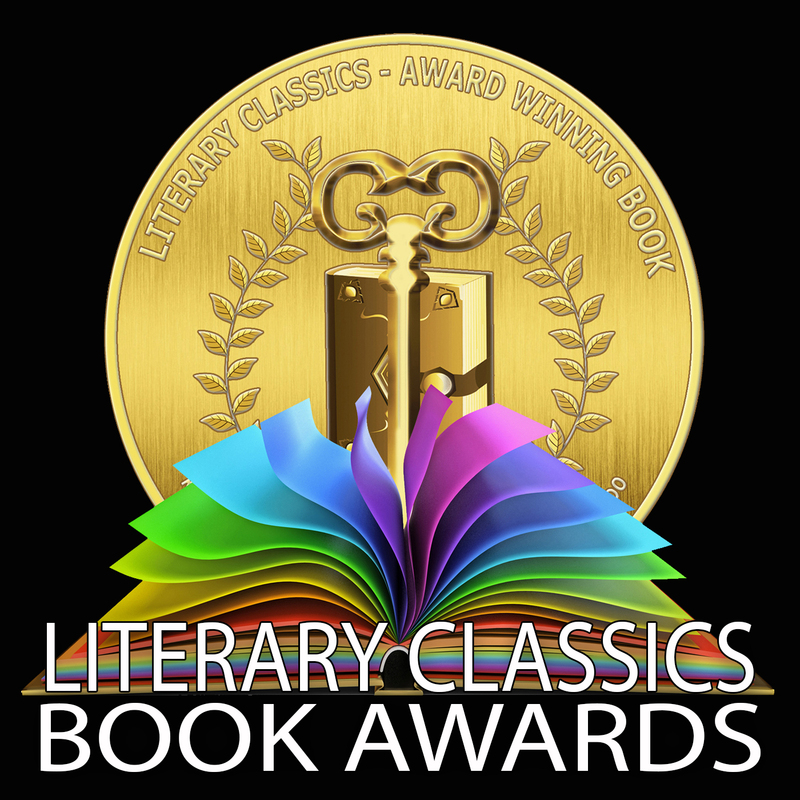 The 2018 Literary Classics Book Award Finalists and Top Honors Book Awards Finalists have been announced. Selected from submissions by entrants around the globe, these distinguished honorees are recognized for their contributions to the craft of writing, illustrating, and publishing exceptional literature for a youth audience. In this highly competitive industry these books represent the foremost in literature in their respective categories. The competition this year was tremendous, and we congratulate all of the finalists for their outstanding and inspiring work. Final awards, categories and levels will be announced on November 15, 2018. All Silver, Gold and Top Honors award recipients will be invited to attend a writers’ conference, awards ceremony, formal gala, and authors’ book signing to be held in conjunction with the Great American Book Festival, May 10, 11 & 12, 2019. Jonathan Schork, Illustrated by Jonathan Schork More Tales from the Enchanted Wood SM~ARC, inc. I pretty much came out of the womb telling stories. As far back as I can remember I was making up stories in my head—not for anyone else, just for me. I became a bookworm the second I could read. Before I could write, I drew, and I thought that meant I wanted to be an artist, but even my art told stories. I discovered poetry writing in third grade and by sixth grade, I’d tumbled down the wondrous rabbit hole of novel writing, and I never looked back. My inspiration for projects often comes from the animal kingdom or from nature. A vanishing island, a feral cat, a stray whisper of wind, a star-swept night, the way a ripple of sunlight turns a leaf to pure gold—any of these might be the gateway to a new untold story. My teachers were always very supportive. The ones who stand out the most would be Mrs. Aleksiewicz (now Nancy Christmas), my much-adored 4th-grade teacher who really encouraged me while I was just discovering the magic of writing; Mrs. Olmstead, my high school English teacher who was just awesome all around. I specifically remember her saying she hoped I’d eventually outgrow my Fantasy phase—Sorry, Mrs. O! That ship has sailed! Celebrated author Jamie Langston Turner was my Creative Writing teacher in college and has become a friend/mentor/sounding board/venting recipient since then. She is, quite simply, amazing both on and off the page. I’ve always loved fairy tales—my earliest memories are of my mom reading them to me before bed. I had an idea many years ago about a cursed black lion that I knew would be some kind of beauty and the beast story, but it was quickly relegated to the back-burner as other story winds blew through and swept me away. And then a couple of years ago I stumbled across Madame Villeneuve’s 1740 The Story of the Beauty and the Beast and was mesmerized. Like so many others I always thought Madame Beaumont’s condensed version was the original take on the story, but Beaumont was, in fact, a re-inventor of the tale like Disney and everyone else. Villeneuve’s original, rambling novella contains Beauty’s fascinating backstory as well as tidbits about a fairy kingdom in the air along with their laws and hierarchy and culture, and instantly I knew I wanted to tell my own version bringing back Beauty’s side of the story. Probably “Take not counsel from your eyes alone.” I adapted it directly from Villeneuve’s story. I think, as a species, we tend often to trust our eyes too much. Our other senses are just as powerful and often less prejudiced. Except perhaps our noses. Our noses can be pretty prejudiced too, can’t they? While I never put myself in my stories, I usually have a fair amount in common with at least one character. But with Beauty & the Beast, not so much. I guess I can go with Beauty because she likes to lose herself in books. Iana, though, for sure, when I’m feeling in a villainous mood. When I love or hate, it’s completely and all-consuming. To be kind to everyone. Not to treat others differently because of how they look, whether they are plain, disfigured, actually ugly, or dazzlingly beautiful. I have personal experience from all across that spectrum: I was a homely adolescent, I had a brief bloom of genuine beauty in my twenties, and then my thirties were wretchedly unkind with an explosion of sun allergies that left me bereft of the beauty that I barely realized I possessed until it was gone. I know what it feels like to be treated differently, in both good and bad ways, because others find you beautiful, what it feels like to be overlooked because you’re plain, the heartache of seeing someone actually shudder when they look at you, the dull resignation and forced smile you plaster across your features when a well-meaning individual exclaims “What happened to your face? !” It’s a beautiful, broken, cruel world we live in. We can’t make it better by wailing and gnashing our teeth, by word-vomiting on social media, by harshly judging others who seek different resolutions or have different worldviews. The only way we can make the world a better place is by being better ourselves. We can’t change how others think and see, but we can change how we think and see. And becoming better is contagious. So be better, dear ones, and pass it on. While I never put real people in my stories, I have started including animal characters inspired by real animals I have known. Beauty & the Beast, for example, contains four animal characters based on animals I have known and loved. As an animal rescuer, it breaks my heart every single day that I cannot save them all. And so I do the best I can for every creature that finds me, and I’ve started including them in my stories as a way to mark their lives, to grant them a sliver of immortality, so that even though their time in this world is barely a flicker, they were witnessed, they were loved, and they will never be forgotten. Neil Gaiman, I think, or Alexander Key. C.S. Lewis, Tolkien, Terry Brooks, and Alexander Key are the authors who have impacted my writing the most, and I would be tremendously honored to be compared to any one of them. Alexander Key, in particular, saw our world for what it was as well as what it could be and imbued his novels with magic and a sense of wonder. Neil Gaiman is, astonishingly I know, a recent discovery for me. I couldn’t tell you why it took me so long to read his magical tales, but now that I have, I’m a convert. He writes with such gut-wrenching beauty in both his ideas and his words, and like a wordsmithing Rumplestiltskin, he spins glorious gold on his story wheel. Superman. I couldn’t think of an answer to this one, and my husband gave me this inscrutable look and then casually said, “Maybe we should sell all your Superman comics and movies then.” Superman is, without doubt, my favorite fictional character of all time. He’s an outsider, a god, an orphan, a beloved child, a Christ-figure, a symbol of hope and truth and goodness in a broken world. And he can fly. He was my introduction to the concept of super-powered humanoid aliens, quickly followed by Alexander Key’s Witch Mountain novels and their Disney film adaptations. Even before I knew I wanted to be a writer in 3rd grade, I was fantasizing about aliens, super-powered humanoid aliens to be precise, and that has shaped my thinking in ways both humorous and heartwarming, delightful and dark. As soon as I have a completed draft of my current novel, an agent is next on my to-do list. I was fortunate in the publishing world initially. My first novel was Winds Cove, a YA mystery novel I wrote for a class in college but never finished. A few years later, I wrangled a meeting with the managing editor of a small but well-established publishing house (“wrangled”= I had a friend who got a job there, and he talked the editor into meeting me). My intention was to figure out what he wanted to publish and then pitch him some ideas that lined up with that. But first he wanted to see some writing samples, so I dug out the most polished chapters of Winds Cove and sent them to him. Much to my surprise, he didn’t say “ok, now let’s talk about a collaboration,” he said, “I want that.” So I went home and finished it. For Beauty & the Beast, I was actually working on my novel-in-progress Mazzaroth and needed a break to clear my head, so I took a month off to scribble out a 40ish page re-imagining of a classic fairytale. A year and 200+ pages later, I had a novel on my hands. While Beauty & the Beast can be a standalone novel, it will eventually be a middle installment in my re-imagined fairytale series, so I wasn’t ready to shop it to a publisher and decided it was the perfect time to try out Amazon publishing. I essentially just wanted it in book format so my family and friends could read it and thought any extra sales would just be a bonus. So having it end up catching the eye of a group of authors, have its characters end up in a Christmas anthology, winning a Top Honors award from Literary Classics—that was all completely unexpected and a delicious blessing. Just write. Too many people spend too much time trying to figure out “how to be a writer.” Find the right software, get the right computer, read that awesome Stephen King book on writing. No. Those are all good things, but they are not what will make you a writer. Sitting your rear in the chair and putting in the work of transcribing your ideas into words, from beginning to end, that is what will make you a writer. So just write. 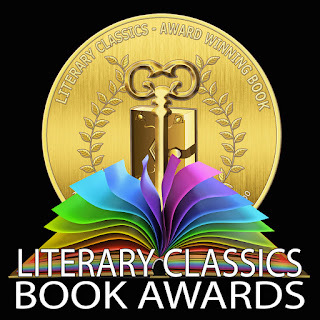 Well, the Literary Classics’ Top Honors Words on Wings Award feels pretty sweet! But honestly just finishing the books I have finished. I have a hard time finishing projects because once I know exactly where the story is going and can see it play out in its entirety in my head like a movie, I get bored with the writing part. And then I want to move on to another project. I’m also easily distracted by anything shiny or furry. In addition, I am a slow writer. I do tons of research and tons of staring at walls. So finishing a book is a huge accomplishment for me. Finishing Winds Cove over a decade ago was huge. Finishing Beauty & the Beast in 2016 was huge. Finishing A Midsummer Night’s Snow this past August, a novella prequel to Beauty & the Beast, was huge. And unless I can find a way to write faster and not get distracted, I imagine every project I sweat through until the finish will feel like a pretty great literary accomplishment. Simply to write, write, write and finish every story in my head. A Hugo or Nebula Award would be nice, but my main goal is just to finish my race. I’m a vampire. Okay, not really, but I have sun allergies and photo-phobic migraines that keep me inside most days and keep me from driving at night. Even overhead lights are brutal. I use a lot of colored and stained glass light bulbs in my house and drape lacy scarves and mantillas over lamps with white light bulbs; I also have plants hanging everywhere, so the light in my house is filtered and soft and often green and blue and rose. As a reader, I love love love the euphoria of being swept up and away in a story, in a world. My greatest hope is that my own stories and worlds will sweep readers away now and for centuries to come. 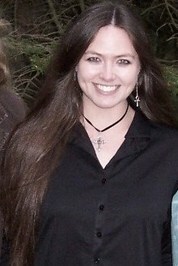 Winds Cove, a YA mystery novel, in 2004. Winter Wonder, an anthology of Christmas/Winter stories. I also edited a quartet of public domain missionary biographies for a publisher, and those are often credited to me. Always! I just finished A Midsummer Night’s Snow, a novella prequel to Beauty & the Beast featured in an anthology of Christmas/winter stories called Winter Wonder, released September 2017. It’s available on amazon.com. As for the books in the works, there are too many to list here but the next book out should be Mazzaroth. Mazzaroth is a science-fantasy adventure and my flagship novel for a series of separate but overlapping stories set in a shared universe that will also include my re-imagined fairy tales. Mazzaroth features a race of human-like people from another planet seeking refuge on earth and centers around a human/alien hybrid girl and her brother trying to find their place in the world, trying to find their people, trying to find out who and what they really are. It plays with themes of identity and home and has all sorts of exciting chases, escapes, superpowers, battles, animal characters, humor, soul-wrenching anguish, heart-stopping beauty, and even a sprinkling of romance. I’m close to finishing my first draft of Mazzaroth, but it will probably be a year or two before it hits bookstores.